On May 18,2010, I received a comment on haiku by Roberta Beary for Int’l Haiku Spring Festival from Michael Dylan Welch as follows. Nice to see these translations of Roberta’s poems from the book! Since then we have been exchanging e-mails. First of all, I would like to introduce Michael to you. Now I post his essay ‘Haiku and the Japanese Garden’ with my translations. When I told him to take it up in our website, he sent me an e-mail on June 9, saying as follows. Thank you — I would love to have you present that essay and your translations. You might also be interested to know that I recorded that essay on audio, with koto and shakuhachi music by Elizabeth and John Falconer, for the Seattle Japanese Garden audio tour. 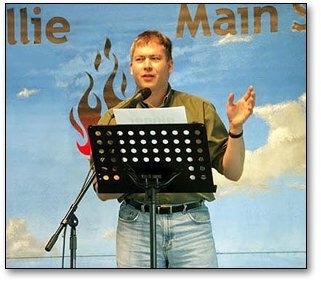 The track is available for online listening or download. 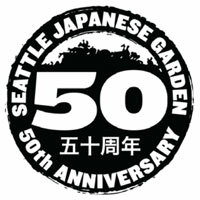 If you go to http://www.seattle.gov/parks/parkspaces/japanesegarden.htm and scroll down to Audio Tour, there are links there to iTunes and RSS. Click either one to get a list of all the audio tracks. My recording of “Haiku and the Japanese Garden” is the second-last track (track 11). If your site also linked to this, that would be great. You can also click the “Audio Tour Liner Notes” link to get a description of all the tracks and the credits for the recordings. Thank you again! And do let me know if I can answer any questions you might have as you do your translations. Haiku and the Japanese Garden First published on the Haiku Garden Poetry Readings site in 2004, and also recorded for the Seattle Japanese Garden audio tour in 2009.There’s something poetic about a garden. Sometimes any garden will do, but a Japanese garden seems especially poetic. As you walk around such a garden in the flow of the year’s season’s, you may notice a fallen camellia blossom, a blade of grass set to swaying by a passing dragonfly, a drying oak leaf clinging to a mushroom, or frost sparkling on a bright red berry. These details inspire poetry the world over. In Japan, they often inspire a special genre of poetry known as haiku. Haiku seeks to capture these details, these brief moments of keen perception and intuition, recording them so that the poet and reader—or listener—might share and celebrate their universal authenticity. clicking off the late movie . . .
Haiku is a poetry of nature, but it is also a poetry of human nature. Haiku gives readers feelings, and shows human existence amid nature. Not all haiku are about beauty, but they are always about what is real. We have an emotional reaction to the poem’s image, sense perception, and seasonal reference. On reading a good haiku, we are mentally and emotionally moved to experience what the poet experienced, yet we do so without being told what to feel. We simply see it, touch it, taste it, hear it, and smell it through the words—and thus feel it. We leap into intuitively feeling and understanding what the poet deliberately left out of the poem so we could figure it out for ourselves. This is the magic of haiku, and the Japanese garden is an ideal place to make the most of this magic. At a Japanese garden, you can walk around and notice the ponds, the bushes, the flowers, the fish, the birds. Or you can learn their names, notice their details, notice their seasonal changes. Bashō, the great Japanese haiku master, said to “learn of the pine tree from the pine tree, and of the bamboo from the bamboo.” He meant to ground yourself in the authentic, to be in the present, and to see the thing itself deeply and freshly, rather than your interpretation of the thing, and not to be distracted by what is going on other than where you are and what you are doing at the present moment. By writing haiku about what you sense in the garden, you can make the garden a more vibrant place, and by learning haiku that others have written and sharing them with others in the garden, you can also enrich the experience. So what is haiku? It is a brief poem capturing a moment of deep perception of nature or human nature, using the techniques of pause or juxtaposition (kire in Japanese) and seasonal reference (kigo). The juxtaposition of two parts of the poem creates tension that the reader can resolve by figuring out their relationship. A seasonal reference grounds the poem not only in very real and present time but in the grand sweep of each season’s metaphorical associations, as well as to other poems that use the same seasonal foundation. You can compose haiku well by writing about things themselves rather than your reactions to those things. Haiku is often misunderstood as a “form” of poetry, being merely anything that can be written in a pattern of 5-7-5 syllables in three lines. That pattern applies to traditional haiku in Japanese (although they count sounds, not strictly syllables), and is not used by the great majority of dedicated haiku poets writing in English. Also, the genre is too often tarnished by “joke” haiku that claim the name of haiku but nearly none of its highly developed aesthetics. Though haiku in English has been mistaught in schools as a “5-7-5-syllable” poem, such a focus on form, and an incorrect form for English at that, minimizes the much more significant characteristics of the two-part juxtapositional structure and the seasonal reference. In English, haiku objectively suggests a moment of here-and-now realization (an “aha” moment) about nature or human nature, or human nature in the context of nature, usually presented in three lines using no set syllable pattern. Haiku typically avoid using a title, rhyme, or other devices that call attention to the words themselves (or to the poet’s cleverness) rather than what the words signify. American haiku pioneer James W. Hackett gave good advice on this topic: “A haiku,” he said, “is like a finger pointing at the moon, and if the finger is bejeweled, one no longer sees the moon.” Indeed, haiku are not meant to be obscure or private, and should, as Jack Kerouac once wrote, be as simple as porridge. Not only can a Japanese garden inspire poetry, but so can the rest of the world. Haiku is a means of sense awareness, of mindfulness, a poetic window to the suchness of the full range of existence. You can take haiku sensibilities cultivated in the Japanese garden and apply them to the rest of the everyday world, making the ordinary extraordinary as you write haiku and see the world with wider eyes. 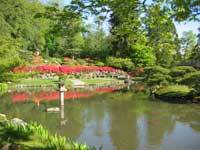 The Japanese Garden Celebrates 50 Years! This three-and-a-half acre formal garden, located within the Washington Park Arboretum, was designed and constructed under the supervision of world-renowned Japanese garden designer Juki Iida in 1960. Since then it has won the hearts of locals who appreciate its artfully-placed trees, shrubs, flowers, stones, lanterns, ponds, paths and bridges that create a harmonious balance of northwest and Japanese garden design. Feb 16 – Mar 21 – Tues-Sun – 10 a.m. to 5 p.m.
Mar 23 – May 2 – Tues-Sun – 10 a.m. to 7 p.m.
May 3 – Aug 15 – Mon-Sun – 10 a.m. to 8 p.m.
Aug 16 – Sep 20 – Mon-Sun – 10 a.m. to 7 p.m.
Sep 21 – Oct 17 – Tues-Sun – 10 a.m. to 6 p.m.
Oct 19 – Oct 31 – Tues-Sun – 10 a.m. to 5 p.m.
Nov 2 – Nov 14 – Tues-Sun – 10 a.m. to 4 p.m.
* Garden closing times are subject to weather, available light, and impacts of daylight savings time. * Admission rates and Garden activities vary according with our events schedule. I sincerely hope that you will visit Seattle Japanese Garden, and that you will enjoy audio tour by Michael, and write haiku. The next posting ‘Haiku by Narayanan Raghunathan’ appears on June 19.